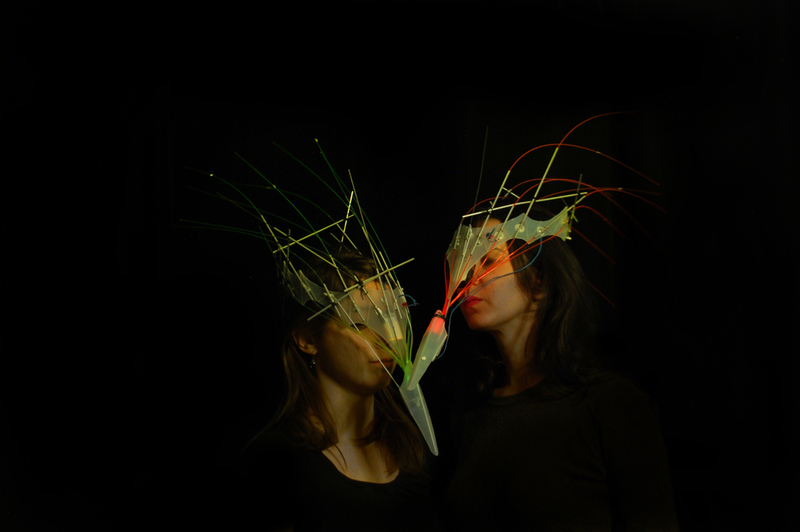 For the collaboration with the Pig Iron Theatre Company, insect-like crowns were designed for the fairy couple Titania and Oberon. Within the Robot Etudes, based on the Midsummer Night's Dream of Shakespeare, the fairies would move in near darkness, with the crowns moving light along the fiber optics. Team: Adam Hostetler, Sam Pan.